A broad experience from different educations and life itself is good. It makes us evolve. It makes us better humans. It makes us better at what we do. My interest and education in performing arts, design and photography, along with my interest and education in technique and computers make my life choices for some people a bit odd. But for me it’s quite clear. I use it. All of it. All the time. In all my work. Every part plays its own part. In all kinds of work there are similarities to performing arts. There is always a director, a performer and an audience. Wether you are a singer, actor, cook, cleaner or bus driver. As a photographer I’m the director, the picture is the performance, and you are the audience. The wall with the framed picture or the commercial ad are my and my pictures stage. Today I work with photography, graphic design and web at full time. But not distinct from my music and theatre interest and compassion. In symbiosis with it. About ten years ago I applied to a school for full time classical singing and musical theatre, Kulturama. I got in. I remember my best friend was very glad about it but still objected loudly and told me I was going in the wrong direction and told me that I should concentrate my interest and education in photography. Not music and theatre. Of course I disagreed with him. Equally loud. In school my classmates and I were on a daily basis surrounded with creativity, music, dancing, wonderful people, strange people, humor, sadness and more. Absolutely amazing every single day. Of course it was hard, and all of us sometimes ended up crying at the toilet overwhelmed with emotions. So much feelings, so much expression, so much talent, both in us and around us. It may sound a bit scary, but there is no better school for evolving and making you a better person. Regardless of what your plans for the future are. As a professional full time working photographer I use this experience all the time. 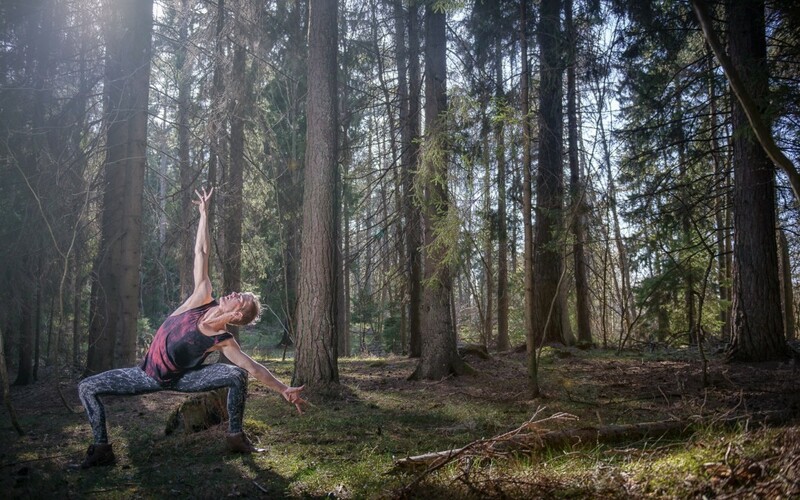 The fabulous lessons with our main teacher, Birgitta Larsson, has taught me the most. To express myself, to be silly, to dare to sound really bad on purpose on stage. You may think theatre and singing is all about beauty and to be perfect. It’s not. It’s about emotions. It’s about feelings. It’s about expression. It’s about technique. It’s about bending the rules. And you know what else is about all those things? Photography! On every photo shoot I use this knowledge. Very often without even to think about it. I play with expressions, and I try to reach inside the ones I’m portraying and embrace and bring all kinds of emotions to the surface. To succeed it’s almost essential that you as a photographer are crazier, express more emotions, without fear, than the ones in front of the camera. Why? Because then they can relax, knowing they are not the most silly ones in the room. Of course it’s important to combine it with some professionalism, but that should be quite obvious. It’s also a really great experience as a photographer to know the feelings and fear you can feel on stage. In focus and in front of the camera, the models stage. You may want to ask me why I applied for schools and educations I today don’t genuinely work with. Stop asking! Of course I applied to work with it, but it wasn’t to be. At least not yet. Or not in the way some people may think. Am I sad about it? No. Not even a bit. As you have read above I do work with it. Every day. Lighting: SB-900 and SB-800 using Nikon CLS.